Everything bad is good for you? Synthetic biology & weapons: How soon is now? Johnson is a prominent American technology journalist. Publishers describe his books as "culture", but - like his contemporaries Malcolm Gladwell and James Surowiecki and to some extent others like Timothy Ferris, Matt Ridley and Mark Kurlansky - Johnson really spans lots of different non-fiction genres including science, history and psychology. The title of his last (excellent) book, Emergence: The Connected Lives of Ants, Brains, Cities and Software conveys a sense of his enthusiastic, entertaining and slightly breathless style of writing. The basic gist of Everything Bad is Good for You, first published a couple of years ago, is a refutal of the culture vultures who insist that modern culture is going to the dogs - a downward spiral of dumbed-down TV programming, blandified music and repetitive and ultra-violent video games, about which the best to be said is that they improve hand-eye coordination of zombie-eyed teens with brains hollowed out of all moral sense. Rubbish, says Johnson. And he sets out to show quite the opposite. Sure, there's plenty of crap out there he concedes, but the increasing sophistication of audiences for these things combined with enabling technologies like the Internet means that the best of what's produced today is much more complex and cognitively demanding that most of what we saw or heard 20 or 30 years ago. Video games are about developing and flexing heuristics for problem solving. The best TV dramas like The Sopranos or The Wire are more complex in character depth and multiple plot line than anything seen before, a genre that Johnson notes began with the cop drama Hill Street Blues less than 25 years ago. The best-selling series of games The Sims trumps Pacman and Pong. As a keen music fan, I can attest that for every Britney, it's now possible to find - courtesy of the iTunes Music store or podcasts like NPR All Songs Considered or KPunk (literally produced in some guy's bedroom) - plenty of good new tunes. So what's this got to do with disarmament? Something of abiding interest to us is how multilateral practitioners do what they do. Reading some academic literature about negotiations one would think that all disarmament negotiators are cravat, tweed and monocle-wearing 19th century types operating in their own parallel bubble universe. There has been little real consideration of the impacts say of new technology on negotiation - and one only has to see the profusion of Blackberries and lately the proliferation of Apple iPhones, MacBooks and Sony Vaios in the conference room to appreciate that these people are deep in the currents of the contemporary age. Talking to them, it's clear they love these gadgets for the ways in which they empower their work - although, as French policy makers discovered last year, their IT security people aren't always impressed. I wonder what the impact of all of this gush of information is going to have. Will it fertilize negotiating environments, or - like nitrate fertilizer run-off - gum things up and ultimately create sterility? It strikes me that multilateral practitioners don't necessarily need more information - their work is complex enough. Rather, they need better quality information, and better means to structure and manage it, in order to be more effective in their interactions. A key element of Johnson's argument is that with popular culture we can be more selective now: technology means we're not stuck with the crap - we can find and choose the good stuff. In theory. It remains to be seen whether we've gotten there yet on the informational side in diplomacy. "The story of the last thirty years of popular culture is the story of rising complexity and increased cognitive demands .... Thanks to e-mail and the Web, we're reading text as much as ever, and we're writing more. But it is true that a specific, historically crucial kind of reading has grown less common in this society: sitting down with a three-hundred page book and following its argument or narrative without a great deal of distraction. We deal with text now in shorter bursts, following links across the Web, or sifting through a dozen e-mail messages. The breadth of information is wider in this world, and it is far more participatory. "But there are certain types of experiences that cannot be readily conveyed in this more connective, abbreviated form. Complicated, sequential works of persuasion, where each premise builds on the previous one, and where an idea can take an entire chapter to develop, are not well suited to life on the computer screen... I can't imagine getting along without e-mail, and I derive great intellectual nourishment from posting to my weblog, but I would never attempt to convey the argument of this book in either of those forms." Rising complexity and increased cognitive demands are also features of multilateral disarmament negotiation. And Johnson's point about the role of books is timely food for thought. A couple of colleagues and I are currently trying to complete a book looking at some aspects of negotiations building on work we've done on the Disarmament as Humanitarian Action project. It's not easy ... but who knows, perhaps that bad process is good for us. What's the old saying - "what doesn't kill you makes you stronger"? 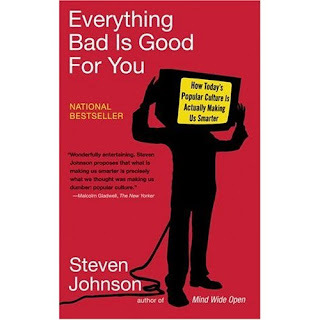 Steven Johnson, Everything Bad is Good For You. London: Penguin: 2006. We've written some on technology in negotiations. For instance, see Patricia Lewis's DI blog post on mobile technology in the conference chamber here. - Meanwhile, opinion editorials continue to appear that reflect the call reiterated by George Shultz, Henry Kissinger and others for renewed efforts on nuclear disarmament. - As Patrick Mc Carthy reported, the UN's Secretary-General, Ban Ki-moon gingered up the Conference on Disarmament here in Geneva with his appraisal of its inability to get back to work after a decade of inactivity. - Paul Wolfowitz, former American deputy secretary of defence and an architect of the 2003 Iraq war - and of course former World Bank boss forced to resign over an ethics scandal - has been appointed to chair a U.S. advisory board on arms control. All of these are newsworthy developments, although right now media attention seems increasingly turned toward jitters in world financial markets, especially in the wake of a breaking trading scandal at a prominent French financial institution. But an item of great significance was confined largely to the weekend edition newspaper features and the science pages. That is, last week a team funded by biotech entrepreneur Craig Venter announced the penultimate step toward the creation of artificial life: the world's first artificial organism. Back in 2002, scientists reported in the journal Science that they had 'made' a virus, which they assembled from separate components, all of which they made synthetically. This was big news, but the process took two years and a large scientific team. About 18 months later, Craig Venter and his team carried out a similar task with a different virus, but they did it in two weeks. It was much quicker this time around because commercial production of some of the virus components were now available, enabling technicians in the lab to make quicker progress, without the need to know how to recreate the initial steps - a more 'engineering-like' approach. Venter announced he would try to do the same thing with bacteria. Bacteria - unlike viruses - are definitely 'alive'. Now, the team from the J. Craig Venter Institute has built the first bacterial genome from the raw components of DNA. It's not yet 'alive', but it's very close. Synthetic biology isn't making a specific thing. It's how you make something. What we're seeing here is another inexorable step toward moving from "the science of biology" to more of a "black-box" engineering approach in which, like the graphical front-end of computer operating systems like Windows, Linux or Mac OS X, we can perform functions without the need to understand or programme the underlying binary computer code from scratch. In other words, soon it won't be necessary to go through a decade of training to create an artificial organism, you just need sufficient knowledge and equipment to assemble it. This has big implications for efforts to prevent the hostile use of the life sciences - biological weapons. For ten years now, I've been a participant or observer - and always a supporter - of international efforts to prevent poisoning and deliberate spreading of disease by means of the 1972 Biological Weapons Convention (BWC). What has always struck me is that in such an environment it's easy to get stuck in the long now: policy makers and diplomats know that big technological changes in the life sciences are on the way, and will have major ramifications for the effectiveness of the BWC regime. A cursory glance at the documents of the BWC's review conferences of the 1990s shows that many of the life science advances spoken of almost as science-fiction then, such as synthetic biology, are here and now for us today. But these advances don't come with blinking arrows or a clear guide to their implications. How will humanity make use of synthetic biology for its benefit, while preventing harm to ourselves, each other, or to our environment? I really don't have any concerns about what Venter and his colleagues are doing, per se. They're legitimate innovators, and there's absolutely no question of any hostile intent behind what they're doing. But it's nevertheless a wake-up call. Among others, I've argued in the past that the increasing intangibility and diffusion throughout society of biotechnological and other related developments this century will mean that orthodox disarmament and arms control processes aren't sufficient on their own to stem their risks. Increasingly, understanding and addressing intent is going to be crucial to managing the risks of misuse of the life sciences for hostile purposes as "dual-use" technology that will inevitably flow from advances like the Mycoplasma genitalium team's work becomes cheaper, easier to use, and spreads. Otherwise, regulatory frameworks for preventing hostile misuse of advances in the life science won't be able to keep up. The question is, can the BWC and related regimes like the Chemical Weapons Convention adapt to these challenges? This blog post was assembled synthetically with the invaluable help of Dr. Piers Millett of the BWC Implementation Support Unit. Responsibility for any errors is entirely the author's. 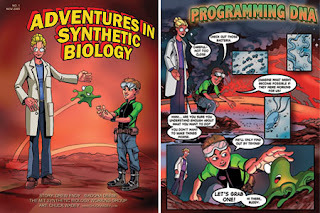 Picture of MIT biologist Drew Endy's comic book, Adventures in Synthetic Biology, retrieved from the U.S. National Institutes of Health website. More info here. "A spur of conscience to the flank of plodding procedure" was how the Ambassador of Sri Lanka characterised the message delivered to the Conference on Disarmament yesterday by UN Secretary-General Ban Ki-moon. The 65-member Conference has been plodding along for more than 10 years now, unable to deliver a single disarmament agreement since completing its work on the Comprehensive Test Ban Treaty in 1996 (for some background, see our posting from August 2007 entitled, "Last chance for the Conference on Disarmament?"). The Conference has managed periodically over the last two years to break into a canter thanks to some innovative coordination by the rotating Conference Presidents and sheer determination on the part of most Member States to break the deadlock in which they find themselves. Despite these efforts, the goal of galloping headlong towards a much-needed treaty to cap (and possibly then reduce) global stocks of fissile material for nuclear weapons has remained elusive. In expressing his disappointment, the UN Secretary-General did not mince words. As if chiding an overweight jockey, he told the Conference, "when you were at the verge of reaching a decision [...] last June, I called on you to move forward in a spirit of compromise and seize that historic opportunity. You did not.” The achievements of the Conference on Disarmament, he said, were but "distant memories." He added that he was "deeply troubled" by the current impasse over priorities and concluded that, although not irrelevant, the Conference was "in danger of losing its way." The Russian Ambassador, responding on behalf of the Eastern Group, tried to take the sting out of Mr. Ban's remarks by pointing to increased trust among States in the Conference and to the "more active discussions" on all agenda items that had taken place in recent years. And indeed he is right. The Conference on Disarmament is closer than it has ever been to cutting the Gordian knot that has bound it in place for the last decade. Russia, but also the United States and the United Kingdom to name just two others, have declared their willingness to move forward based on a compromise that would see negotiations begin on a Fissile Material Treaty; accompanied by substantive discussions on the other priority issues on the Conference's agenda - preventing an arms race in outer space, negative security assurances (i.e. assurances from nuclear weapons States that they will not attack non-nuclear weapons States with nuclear weapons) and nuclear disarmament. China has also indicated that, given a few tweaks, it might be able to go along with this. A handful of countries remain to be convinced, however, including Pakistan, Iran and Israel, each of which has its own concerns about how their national security could be affected by the prioritisation of issues currently favoured by the rest of the Conference. Leading the charge to break the deadlock this year will be Conference's 6 Presidents for 2008 - Tunisia, followed by Turkey, Ukraine, the United Kingdom, the United States and Venezuela. This grouping, thrown together by the alphabet, contains two nuclear weapons States that support the commencement of negotiations on a Fissile Material Treaty; a good omen if ever there was one. The Conference on Disarmament has been well exercised over the last two years. It is ready to race again. Here's hoping that the Secretary-General's spurs will be enough to encourage it once more to take the bit between its teeth. 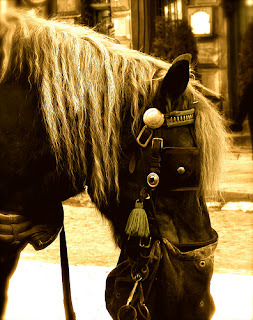 Photo credit: "Old Horse" by artur.borzecki on Flickr. Randall “Randy” Forsberg was best known as the creator of the Nuclear Freeze idea that blossomed into a movement in the early 1980. Randy passed away in the fall of 2007 after the recurrence of cancer that had first appeared twenty-some years earlier (see Patricia Lewis' posting, "Randy Forsberg: A tribute to an inspiration"). In today’s political culture she would be seen as a great messenger. The idea of a “freeze” on the nuclear arms race was the right way to frame an issue for the times and, indeed, it took off as a popular movement in way that nothing had for arms control before that time. Today it is important to remember that the Freeze did not come about as a result of a messaging exercise. Randy did not say to herself that she wished for disarmament and that the freeze might be a good way to market that dream. Rather, Randy came to the freeze idea from analysis of data. Randy was someone who believed passionately in the power of ideas when grounded in rigorous analysis of facts established by carefully assembled data. After laboring for years over accounts of national holdings of armaments and delivery vehicles, in a sort of gestalt moment, she recognized the fact of essential parity in the arms race. Parity to her mind meant a precious moment when serious arms control measures could be pursued without one side in the Cold War exposing to the other a prolonged period of vulnerability to the other’s advantage. The moment could only be seized for the cause of disarmament if there was a “stop in place” for the arms race. Negotiations take time and an arms race ‘stop’ would be a necessary confidence building measure. From understanding the logic of the dynamics of the nuclear arms race, grounded as always in analysis of data, Randy came upon the notion of a Freeze. The Freeze had its years in the ‘80s. Meanwhile Randy was already thinking beyond the Freeze. She moved to endorse the concepts of cooperative security and alternative defense which had been developed in Western Europeand ultimately helped end the Cold War when Gorbachev took up the core ideas in Moscow – thereby creating new opportunities for disengagement and disarmament in central Europe. Randy traveled to Moscow in those years and maintained regular contact with Gorbachev’s security thinkers. The ultimate goal of cooperative security policies is to demilitarize the international system and end large-scale conventional warfare. Again and again she would tell all who would listen that the surest route to nuclear disarmament was through ending large-scale conventional warfare. Popular attitudes continue to accept the legitimacy of using military force for purposes other than true national defense. Alternative defense policies challenge this status quo by looking to 1) end intervention, 2) de-legitimize the use of military force as a tool of international power politics, 3) increase proficiency at using nonmilitary means of resolving conflicts and crises, 4) reduce and restructure conventional forces so they are less threatening, less capable of aggression, less vulnerable to attack and more purely defensive. …this essay attempts to articulate imaginable conditions under which war might end, and plausible paths – sequences of events reaching out from the present into the future – along which these conditions could be realized. For too long, the general question of the conditions for peace has languished, leaving the field of war and peace studies to narrower issues. Randy was a great believer in the power of ideas!! The Group of Governmental Experts of the Convention on Certain Conventional Weapons (CCW) today completed the first of 7 weeks of work scheduled this year to "negotiate a proposal" on cluster munitions that would balance military with humanitarian concerns. One of the problems faced by the expert group is that nobody is quite sure what it actually means to negotiate a proposal. Negotiate a protocol, fine; or even an instrument. But a proposal? A proposal to do what? To negotiate a protocol, instrument or some other form of agreement? The novel formulation of negotiating a proposal was born out of a compromise at the CCW Meeting of States Parties in November last year. Under pressure from the parallel Oslo Process on cluster munitions, which was building momentum between its Lima and Vienna meetings, many States perceived the need to begin serious work on cluster munitions in the CCW in order to keep pace. The European Union, the United States and others insisted that negotiations start immediately. Russia and others resisted and would not commit to an additional legally-binding protocol to the convention dealing with cluster munitions. The result? 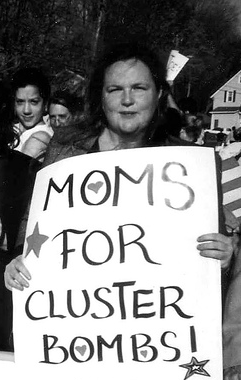 The CCW would "negotiate a proposal" on cluster munitions. The EU and the US got the word "negotiate." Russia and others kept out any reference to an additional protocol to the Convention. It's what's known in the diplomatic trade as "constructive ambiguity." It was certainly constructive insofar as it got the CCW working seriously on cluster munitions. Its ambiguity, however, is causing some problems. The fact that a number of the scheduled negotiating sessions this week ended prematurely due to lack of inputs from delegations could be attributed at least partly to the fact that many delegations do not seem to have received specific enough instructions from their Capitals as to how they should proceed. It is difficult to formulate negotiating goals when it is unclear what one is negotiating. A few delegations sought to overcome this in the closing session today by clearly setting out their interpretations of the task that lies ahead. Both the United States and the European Union indicated that their goal was to complete a new, legally-binding protocol on cluster munitions by November of this year. To help achieve this, the United States called on the Chair of the expert group to produce a Chair's draft protocol by the beginning of the group's 3-week negotiating session in July. No delegation questioned the maximalist interpretation of the expert group's mandate set forth by the EU and US in today's closing session. Even Russia, which at the end of last year offered a restrictive interpretation of the expert group's mandate - including that the outcome of negotiations should not incur financial costs - let it pass without comment in its own closing statement. That is not to say, however, that all are in agreement that a new protocol by November is now the goal. During the course of the week, Russia made it clear on a number of occasions that its original interpretation of the mandate has not changed. The mood in the conference room today, however, was buoyed by the fact that a working group designated to come up with a draft working definition of cluster munitions managed to do so; albeit one so laden with square brackets and alternative text that it is difficult at this point to say much of substance about it, apart from the fact that it would seem to exempt weapons with 10 or fewer sub-munitions. This draft definition will be reflected in the procedural report of this week's meeting. Support for it would seem to be less than universal, however. India, for example, thought that it was too specific and favoured a more generic approach. Ireland introduced an alternative definition on its own initiative just this morning. There were also some references to the Oslo Process, which runs parallel to the CCW but which has the clearer goal of prohibiting, by the end of this year, cluster munitions that cause unacceptable harm to civilians. The United Kingdom - which, like many other States, participates in both the CCW and the Oslo Process - stressed the need "to ensure continued complementarity" between the two. Even China, which does not participate in the Oslo Process, conceded that it could play "a supplementary role." Today's session ended in applause by States Parties, something I do not recall happening in the expert group since it completed negotiations on a protocol on explosive remnants of war (Protocol V) in 2003. There was a palpable sense of relief in the conference room that CCW negotiations on cluster munitions had finally begun and that that some progress had been made during the first week. As Mexico pointed out in its closing statement, however, discussion during the week focused more on the military utility of cluster munitions than on their humanitarian impact. Whether the GGE manages to redress this imbalance during its forthcoming meetings remains to be seen. Striking this balance will be crucial in determining the humanitarian value of its final product. Photo by nivek29 retreived from Flickr. It's been a curious week so far for international efforts on cluster munitions. A Group of Governmental Experts (GGE) approved at last November's meeting of states party to the UN Convention on Certain Conventional Weapons (CCW) has gathered in Geneva for its first week of formal talks. As noted in previous posts, there are currently not one but two international processes underway to address the humanitarian effects of cluster munitions. There is the free-standing Oslo Process begun last February. And there is the CCW's more recent and not completely unconnected consensus decision - after years of prevaricating - to "negotiate a proposal" for some sort of agreement on some as-yet unspecified measures in this regard. As the first official week of seven allocated to the CCW's work this year, there is already concern this won't be enough, and that - with six of the seven weeks scheduled for the second half of 2008 - the CCW will lose momentum between this meeting's deliberations and subsequent rounds of work. Consensus seems to be emerging that a week in April is also required, although it's unclear yet whether this will be deducted from four weeks scheduled for July, or whether it will be an informal week; that is, without language interpretation and certain other conference services. It's also, of course, with an eye to the Oslo Process. In Vienna in December a large number of countries - including many participating in the CCW - forged ahead in their talks on the content of a new humanitarian treaty to be completed by the end of this year. The Oslo Process meets next in Wellington, New Zealand, for a week in February, and for its main negotiation in Dublin, Ireland, for a fortnight in the second half of May. It is expected to substantively complete its work there. The fear among some in CCW is that any work it has produced may only be in rudimentary form by then. Although the mantra is that the CCW's efforts and the Oslo Process are complementary and mutually reinforcing (hark, 'tis the UN's position), there is nevertheless some uncertainty about how the two processes will play into each other. Indeed, some of the states who are major users and producers of cluster munitions still trot out the by-now tired line that only the CCW has all of the big users and producers on board; that is, it the only credible process. That's frankly hard to believe that when 138 countries were present in Vienna, including a majority of cluster munition stockpilers and users, and sounds just a bit too defensive. This week has already seen two lengthy presentations by the United States on why it believes cluster munitions have military utility, as well as on the "joint-targeting process" it uses. These talks were valuable for understanding more about the US position - but were views many had been hoping the U.S. would share well before now, at last April's meeting of experts in Montreux, a gathering facilitated by the International Committee of the Red Cross. The United Kingdom and Germany were also active in putting forward proposals or reiterating previous ones. But it is a curious atmosphere. There have been several lengthy silences as interventions have run out. After some metaphorical throat-clearing, one of China, France, Germany, Russia, the UK or US has usually raised the name plate and kept talks going. Consequently, there has been much repetition. However, military expert discussions on definitions yesterday led to the establishment of an informal drafting group on definitions, which met today and will report back on its consultations tomorrow afternoon. In an insouciant masterstroke yesterday afternoon, the Danish chair proposed that Russia - one of the most reluctant countries present about agreeing any specific restrictions on cluster munitions - preside over those consultations, since it had suggested them. Russia agreed. And, by various accounts, these discussions made some progress this morning. Nevertheless, the difference of emphasis between the Oslo Process and the CCW was underlined today in GGE discussions scheduled on "humanitarian aspects". There were interventions from a number of countries along the lines of "Protocol V will do fine, thank you very much" and the session finished early (after 90 minutes), in contrast with very detailed Oslo Process discussions in Vienna in December. So far, in other words, the military-humanitarian balance in the CCW appears to be in favour of military aspects, at least time-wise that is, this week. Photo of installation in the Esplanade des Nations by author. Our last few posts have previewed in general terms some of the main negotiations and discussions on disarmament and arms control that will take place during 2008. 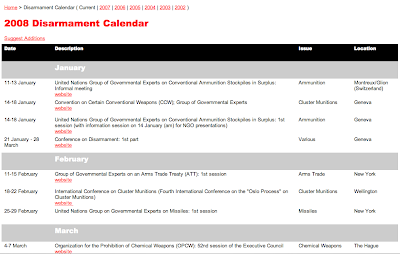 The Geneva Forum has just made it easier to follow all of this year's goings on by publishing online its 2008 Disarmament Calendar (click on "Calendar" in the menu bar on the left of the Geneva Forum's homepage). The Geneva Forum will keep this calendar updated throughout the year so why not put it in your bookmarks and refer back every now and again to get the full picture? Also, if you would like to suggest additions, please feel free to use the link at the top of the calendar to do so. The 2008 disarmament year officially starts today with the opening of a one-week meeting of the Group of Governmental Experts (GGE) of the Convention on Certain Conventional Weapons (CCW). The GGE is scheduled to meet for up to 7 weeks this year to "negotiate a proposal to address urgently the humanitarian impact of cluster munitions, while striking a balance between military and humanitarian considerations" (for background, see our earlier posting, "Cluster Munitions: a CCW Mandate"). Disarmament Insight is observing this meeting and will report back later in the week on how things are proceeding. As we foreshadowed in December, 2008 is gearing up to be a busy year for disarmament in Geneva. From 21 January, the Conference on Disarmament (CD) will resume talks to try to get back to work after a decade of blockage and inertia, for instance. The Nuclear Non-Proliferation Treaty will meet for the second preparatory meeting to its upcoming five-yearly review conference 2010 in Geneva from late April, after a tough start in Vienna last year . And, next week, representatives of member governments of the 1980 UN Convention on Certain Conventional Weapons (CCW) will begin work to "negotiate a proposal to address urgently the humanitarian impact of cluster munitions, while striking a balance between military and humanitarian considerations". So, 2008 will be busy for disarmament. The real question is - will it be productive? Though Geneva-based disarmament processes like the Biological Weapons Convention are quietly boxing on, there are some wider doubts. Officials doggedly try to be positive about the CD, and the tenor of talks there do seem to be gradually improving. But it's unclear whether anything has changed sufficiently to enable a breakthrough that would allow vital work like fissile material cut-off negotiations to get properly underway. Dynamics also remain difficult in the NPT. Iran made it clear in last summer's PrepCom in Vienna that it would hang tough against perceived attempts to isolate or coerce it, and its position only seems to have hardened - Tehran's alleged non-compliance will continue to be a flash-point this May. And then there is the CCW, which has become rather a grumblefest. Representatives from certain CCW states grumble about the Oslo Process, which they regard as a loopy attempt to re-create the Ottawa Process of more than a decade ago, resulting in the 1997 Mine Ban Convention. There is no need for it now that the CCW has achieved its work mandate, so the argument goes. There are jitters about what exactly banning cluster munitions that "cause unacceptable harm to civilians" will mean in the Oslo Process. And in pro-ban circles it may be possible to detect some sniffiness about the CCW, which ever so coincidentally only seemed to get its act into gear after the Oslo Process emerged in 2007. It all reminds me a bit of being stuck at an outdoor rock festival in the rain. The clouds come over and the rain starts, and despite there being a choice of two main stages, and you're all in it together, some misery-guts starts a contagion of hand-wringing, paranoia (okay, maybe that due to something else) and tent-lurking negativity. People complain about how far they have to slog to commune with their chosen music act. People offer dire portents about the weather worsening. People, whether Deadheads or metallers, hippies or punks, even begin engaging in dumb arguments about whose artist of choice is better. Oh puh-lease, give us all a break. The CCW and the Oslo Process shouldn't descend into a "my band is better than your band" contest. There's a place for both. Yet both face big challenges. The CCW is Duran Duran at the moment: it was a big act in the 1980s, but has only been able to create a couple of decent albums in the 90s and the 00s. It's had ... creative difficulties. (A recent album produced by Justin Timberlake also probably didn't help its street cred.) But people who say it's a spent force are probably wrong. The difficulty to be faced though, is that some of its song-writers have had irreconcilable difficulties over a recent important creative project - "mines other than anti-personnel mines" - and producing an outcome on addressing the humanitarian impact of cluster munitions is going to have to transcend these types of dynamic if it's going to make something better than bland, over-produced mush only hard-core fans will buy. But it can do it. The Oslo Process is the Arcade Fire. Never heard of the Arcade Fire? You will, don't worry. A big, messy, international ensemble who seemingly emerged from nowhere not long ago, and on paper at least, should never have worked. At times they resemble a misfit church orchestra crossed variously with U2, Bjork, The Beatles and Radiohead. Cripes! Yet, they've produced two amazing albums so far, and live were the best act I saw in 2007. They're young and keen and seem to lack the jaded cynicism of true rock survivors. Oh oh. The Arcade Fire/Oslo Process juggernaut is the buzz right now. But two albums and one tour do not the pantheon make. In Wellington in February and Dublin in May, the Oslo Process must produce the goods on the big issues that will determine whether it will produce a "Sgt Peppers" or "Dark Side of the Moon" - something that's great music to many ears in addressing the humanitarian effects of cluster munitions. Exceptions to a prohibition on cluster munitions and issues surrounding military inter-operability are immediate challenges, and elegant arrangements to weave solutions regarding these need to be part of its coda. Even if I'm a bigger fan of the The Arcade Fire right now (I think they're more likely to do exciting things) don't write off Duran Duran. Let's hope they both do good work, and as I already said you can like'em both at the same time. Just like the CCW and the Oslo Process, which are - in the words of the UN Secretary-General - "complementary and mutually reinforcing". Music to our ears. We'll review (I mean report on) both in the course of this year. In the meantime, enough grumbling already, there's work to be done. John Borrie likes to his listen to his music collection and invent new ways to mix metaphors badly, preferably with a Stratocaster or Les Paul in hand. He is easing very gently into another serious year of Disarmament Insight blogging. 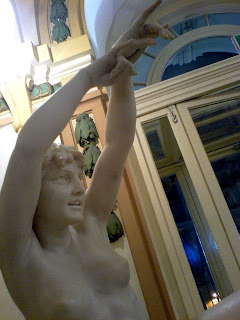 Photo of anonymous classical rock chick courtesy of author. Around the time that the Wall Street Journal published a well-received and watershed opinion-editorial by Henry Kissinger, Sam Nunn, Charles Schultz and others signalling a potential new beginning in nuclear disarmament public policy, a new project emerged—entitled ‘Disarmament and Globalisation’—based at the School of Oriental and African Studies in London, United Kingdom. As was reported on this blog later in 2007, momentum picked up in June when the UK Foreign Secretary echoed the op-ed’s call and those of many others for a world free of nuclear weapons. Great: the ‘D-word’ was making something of a comeback, this could only be a good thing and we pressed on with our work. However, with this apparent progress there still seemed to be a disparity between calls for nuclear disarmament and the Trident renewal in the UK or the continuing debate over the Reliable Replacement Warhead program in the United States. What also appeared evident, and at SOAS we heard it most clearly, was that there were still no clear links being made between disarmament of Weapons of Mass Destruction (WMD) and the problems caused by conventional weapons, especially the huge stocks and holdings of heavy conventional weapons, that are so damaging to development in the Third World. Efforts to understand demand for WMD by smaller countries—perhaps in order to counter Western conventional supremacy—must be given greater emphasis. It should also be recognised that the fallacy that interstate conflict was a thing of the past actually permitted the decline of the arms control and disarmament agenda. Our project aims to build on the growing consensus in many constituencies that action on disarmament must be a priority for national governments in the run up to what will be a crucial review conference of the nuclear Non-Proliferation Treaty (NPT) in 2010, and that this should be done by reference to disarmament in its humanitarian context. A large part of this emerging work will be an emphasis on the development of public policy surrounding both issues—nuclear and WMD disarmament on the one end and conventional weapons and the impact on development on the other. Currently, work on these two large fields is largely undertaken in separate universes, both in the way policy is developed (i.e. 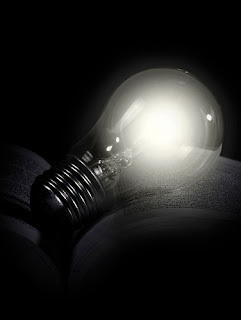 in separate departments) and in the way it is studied and taught. Yet there is no logic for them to do so. There is also often a disparity between the academic findings on disarmament issues and the policy development at the national and multilateral levels. John Borrie and Christian Ruge have written about a gulf between policy-making and research communities in disarmament that can be difficult to bridge. Policy-makers sometimes pay only cursory attention—if any—to research. It is also the case that academic research, particularly in the International Relations field, has fallen behind reality. Bridging these gaps is a key part of finding innovative solutions to old problems, as well as emerging ones. We hope to play a part in understanding how governments formulate their approach to a major multilateral process like the NPT, in understanding how civil society and the media above all can influence this at the national or regional level. Don’t forget that without the public campaigns backing up the scientific evidence, negotiations on climate change, for example, could not have progressed to the extent they have, with even the US making major changes to its traditional standpoint in order to reach consensus. The project aims to culminate in a world summit in 2009 or early 2010, timed to coincide with the NPT RevCon and impact on it. An interesting research theme will be to research how it is possible to reverse the negative expectations surrounding these negotiations, especially considering the failure of the 2005 NPT RevCon to produce a final document. A thread of the work then will focus on affecting governmental negotiation positions and on creating useful advocacy proposals both for national representatives and the major intergovernmental or supranational institutions. Article VI of the NPT requires States to negotiate both nuclear disarmament and a final treaty for general and complete disarmament. While the latter is generally regarded as being a long way off, it is our belief that we actually possess a good number of effective treaties (the ‘old wisdoms’) that can be extended and combined with the newer legislative and export-control measures encapsulated by UNSCR 1540 (the ‘new wisdoms’) to produce a comprehensive approach. It is not beyond the realm of possibility that by establishing and reinforcing the notion that disarmament commitments under the NPT do not just end at the comma, an effective trajectory for arms control in the 21st century can be found. After a year or so of start-up, the project launches at a conference on 7 January 2008. I hope to report back on progress in the coming months. 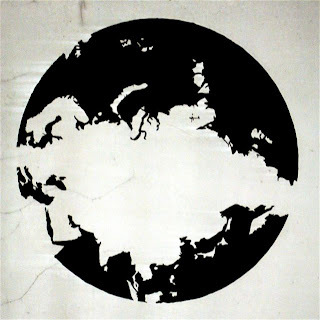 This is a guest blog by Poul-Erik Christiansen, a researcher at the Centre for International Studies and Diplomacy, at the School for Oriental and Asian Studies (www.cisd.soas.ac.uk). 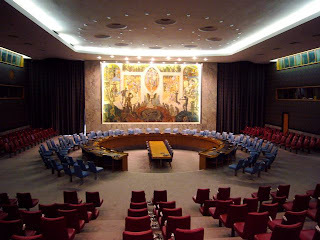 Photo of United Nations Security Council chamber in New York, courtesy of Paula Eyzaguirre and Thomas Nash.